We are really excited and looking forward to exploring the forecasting, and "What If" scenarios. 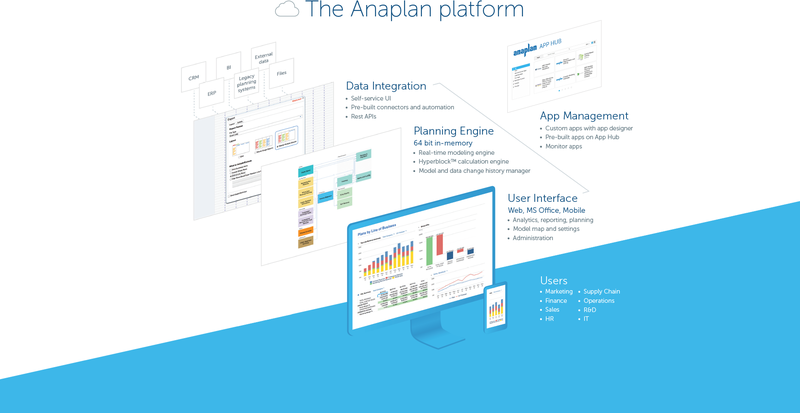 Our current business structure makes it very difficult to forecast and project at any level, and I think Anaplan will be a great solution for us.I think for any business that has multiple, or dynamic, hierarchies Anaplan is a great solution. We have reduced the time spent on these dynamic views by using subsets and properties with in the models.I am looking forward to the increased the communication/connected planning aspect that Anaplan brings to our company. In the past we had thousands of Excel workbooks, some that were too large to email or open. We have seen improved interaction and clear lines of communication for our end users by using Anaplan for our budget process. Oracle Warehouse Management Cloud is better to use for inventory management or warehouse management only. It does not give you all the features that Oracle offers in its Order Management System. So before opting for an ERP for your organization, I would say to take expert advice. We can enter manual entries into Oracle Warehouse Management Cloud and all manual entries do not have proper control. It performs slow when it must extract the data in large amounts. Oracle Warehouse Management Cloud doesn’t maintain sales return entries because it’s not an order management system. In order to use this feature, we need to configure or deploy another solution, which is Order Management System. We cannot consider it as a demerit of Oracle Warehouse Management Cloud but for a single feature, we cannot deploy another module. .
We have reduced our manned power. Oracle Warehouse Management Cloud helped us to increase our productivity by system automation. We are managing our warehouse operations in a large numbers.